Growing up, Mike Slobot “enjoyed” such treats as fruit-sweetened carob cookies and buckwheat pancakes. Now, in later life, he recognizes the benefits of that healthy foods lifestyle that started when he was young, but the original 1971 “Willy Wonka and the Chocolate Factory” and the subsequent 2005 remake “Charlie and the Chocolate Factory” still hold sway as two of his favorite movies off all time. 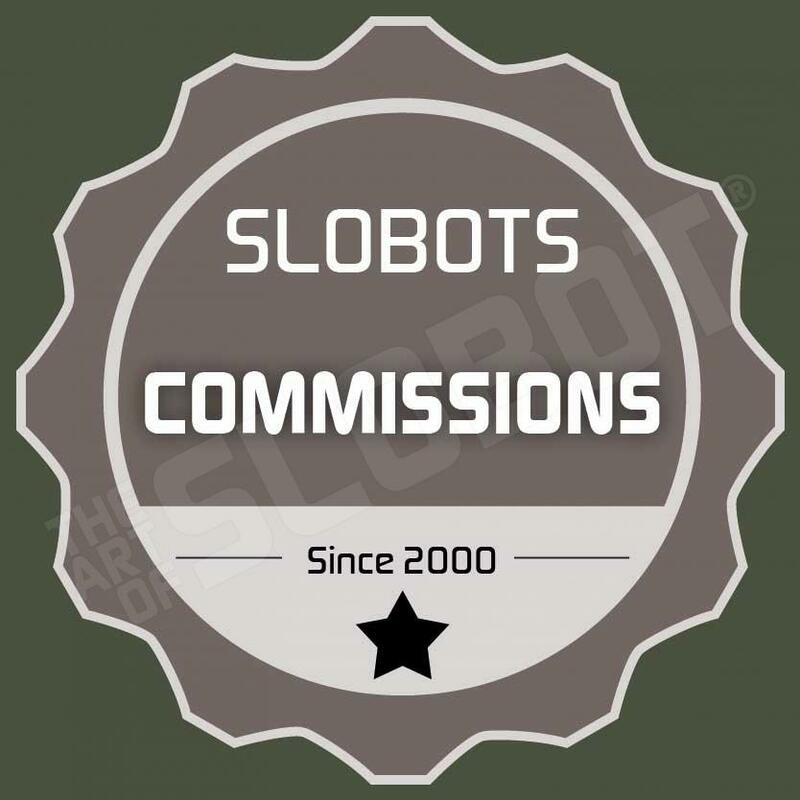 He sees the creation of the SLOBOTs much in the same way that Willy Wonka’s Chocolate Factory operates, with a team of Slonkabot’s helping in the creation of SLOBOTs in his robot factory. At the bottom of this post, is an image of one of his Slonkabots, inspired by Deep Roy’s portrayal of the Oompa Loompas in the 2005 remake. Here is a print Mike made of one of his Slonkabots. You can see more in Mike’s Slonkavision universe here.